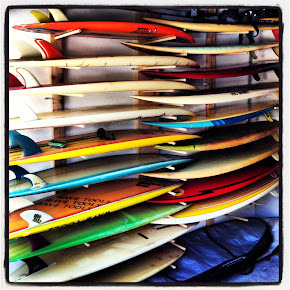 : Board Collector: Jim Parkinson's rail channels. 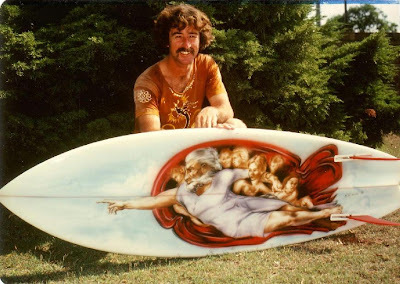 Design innovator, Jim Parkinson in 1979 from Jackson Surfboards. 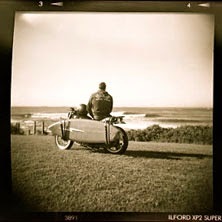 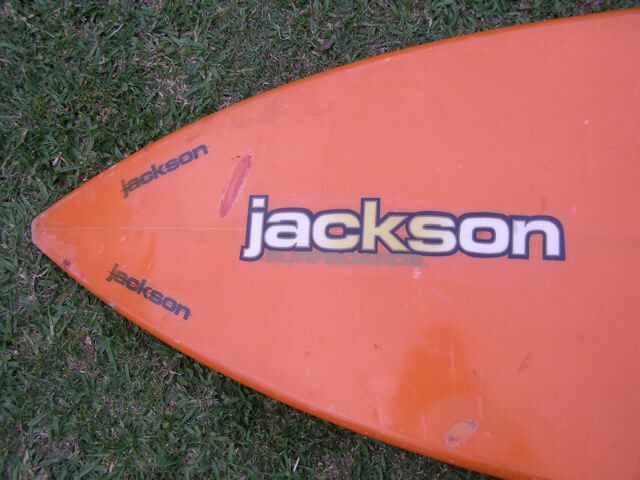 Omar found this lovely Jackson thruster for me on the NSW north coast. 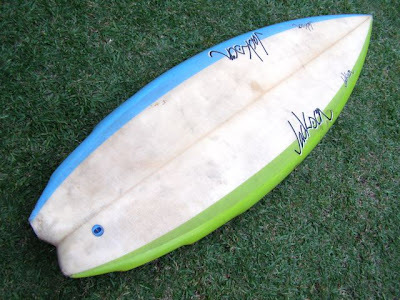 It features unusual soft, deep and long channels that run up the lenght of the rails that I have never seen before. 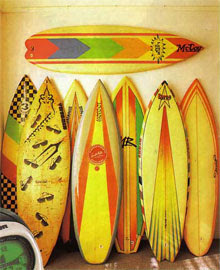 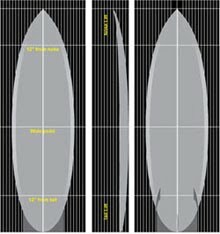 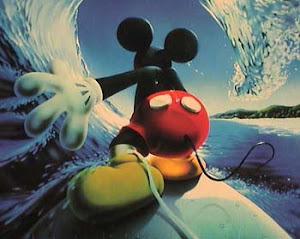 I would have written them off as a blip on evolutionary design timeline of the modern surfboard and not thought of them again except for a strange co-incidence. 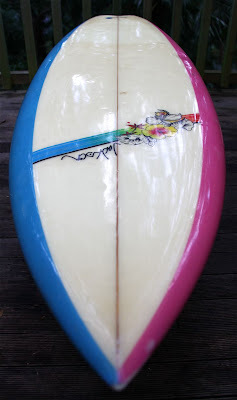 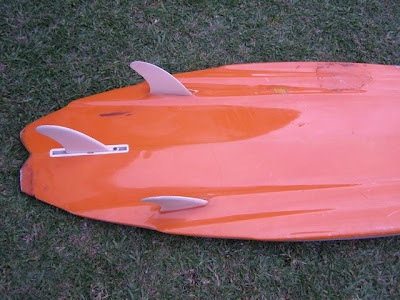 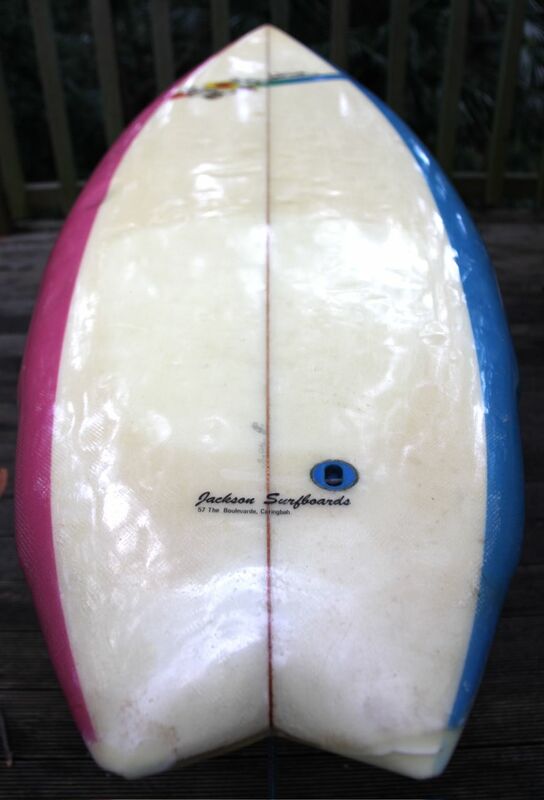 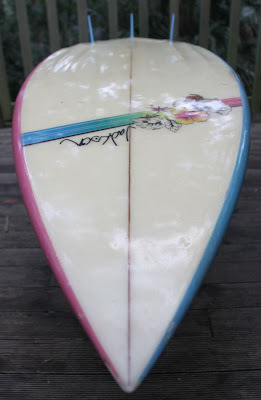 I sold a Al Byrne shaped Byrning Spears channel bottom thruster on ebay for $50. I was'nt very stoked, but the guy I sold it to on the Gold Coast was. 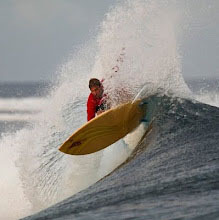 He was blown away! 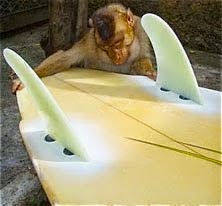 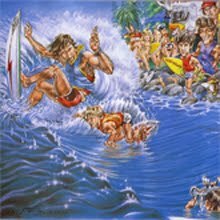 He told me he only surfs Al Byrne channel bottoms and Jim Parkinson rail channels on the long and fast point breaks of the Gold Coast like Burleigh and Snapper rocks. 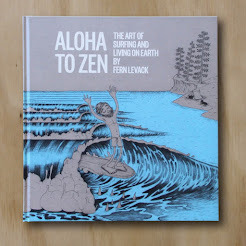 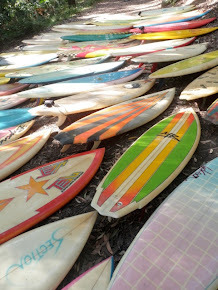 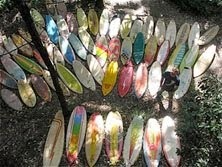 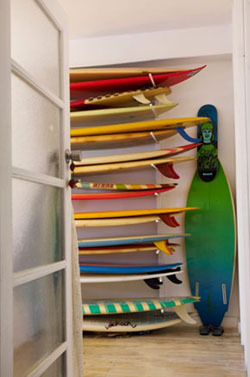 He swears by them, says they are the greatest piece of surfboard design in history. 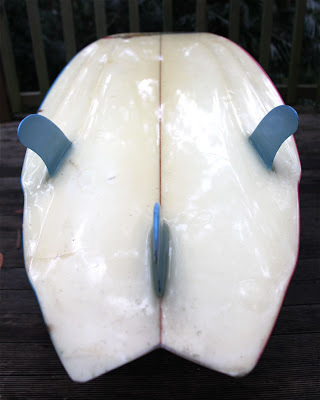 Then Gavin sent me pics of his Jim Parkinson rail channel thruster. 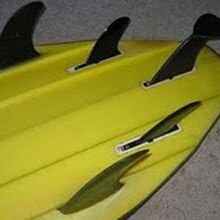 I better paddle it out and get up to speed on this innovation that I never knew existed. 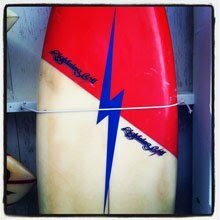 Gavin's Jim Parkinson rail channel design.